Five spice powder gets its name from the five elements, not because it contains five spices as many believe. According to traditional Chinese medicine, the five elements are manifested in different parts of the body and if there are imbalances in these elements, disease can result. For thousands of years, different herbs and spices have been used to bring balance to these elements and that is how five-spice powder came to be. While there are many recipes for five-spice powder available online, there is no one traditional recipe. The ingredients and amounts can vary from region to region and are often different depending on the household as the mix may be adjusted to individual tastes. The most common spices for a five-spice blend are fennel, cinnamon or cassia and star anise along with Szechuan peppercorns and clove. Other blends may contain celery seed, ginger or even nutmeg. 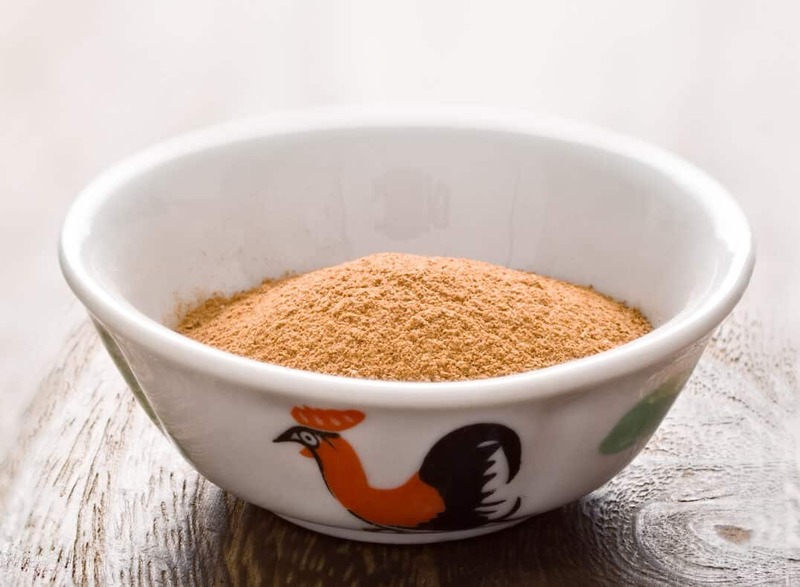 Five-spice powder provides a flavor that can be described as warm, almost spicy, due to the tingling effects of the Szechuan peppercorns or ginger and also delivers a cooling, nearly sweet, effect due to the clove flavor. The spice blend can thus improve the quality of a dish without being overpowering. 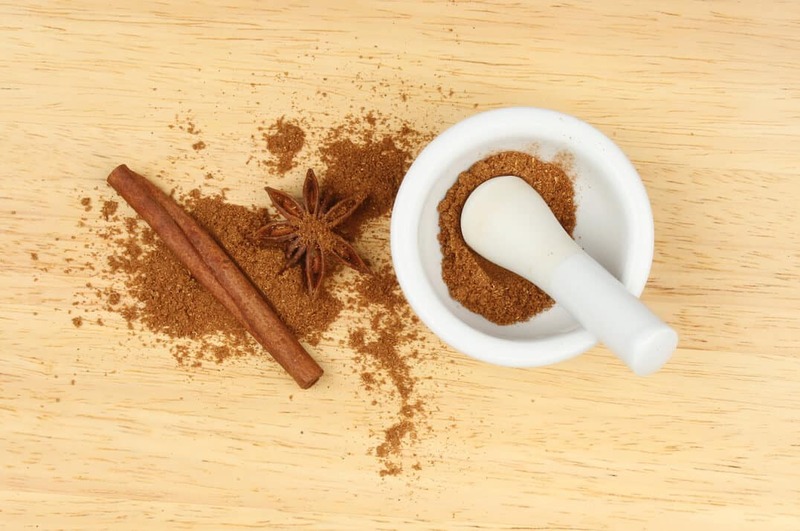 Each of the ingredients in five-spice powder comes with its own set of health benefits. Cinnamon: Cinnamon comes from the inner bark of tree that grows in Southeastern Asia. 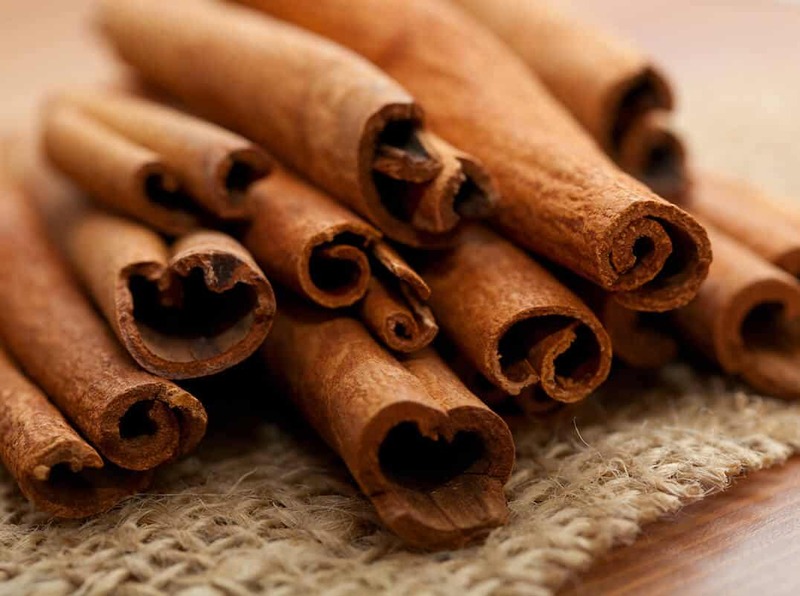 Cinnamon is known to have antioxidant and anti-diabetic properties and is also an antiseptic and anti-inflammatory agent. Its essential oils include eugenol, a fragrant compound that is an effective antiseptic. 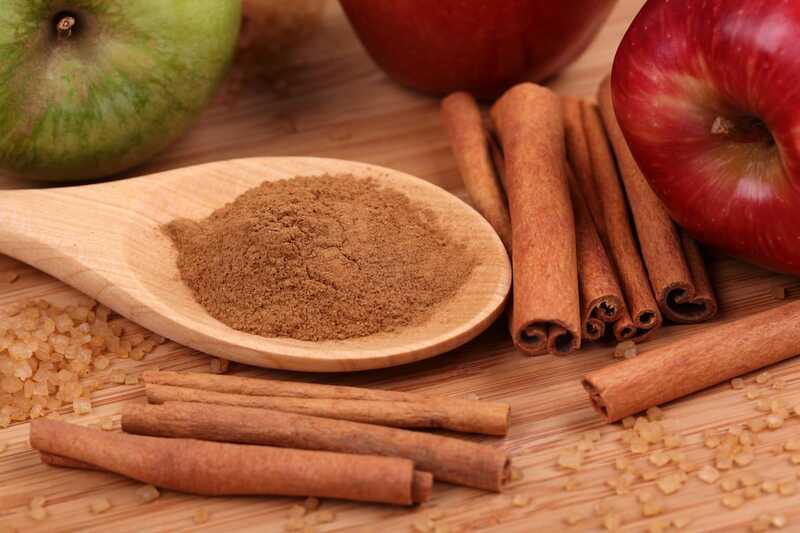 Other essential oils in cinnamon include cinnamaldehyde and linalool. The anticoagulant effects of cinnamaldehyde may prevent blood clots, which may help to reduce the risk of both strokes and heart attacks. Szechuan Peppercorns: These peppercorns come from a tree in the citrus family and are excellent sources of essential oils, minerals and antioxidants. Their flavor comes from terpenes like limonene, linalool and cineol. They provide a boost to your digestion by increasing the secretion of gastro intestinal juices and enzymes. Star Anise: Star anise is the fruit of an evergreen plant that originated in Southern China. Traditional used both as a spice and for its health benefits, it contains a plant-based compound called shikimic acid that is also found in ginkgo. When combined with quercetin, shikimic acid has been found to improve the function of the immune system. Fennel Seed: Fennel seeds are produced by a plant in the parsley family that is grown in Europe as well as throughout Asia. It is a rich source of antioxidants like quercetin and of dietary fiber as well. It also contains health-improving essential oils like limonene and pinene. Cloves: Cloves are the buds from an Indonesian evergreen tree and are known to provide antioxidant, antiseptic and anti-inflammatory benefits. Among its essential oils are vanillin and acetyl eugenol but it also includes flavonoids like eugenin and kaempferol. It is known to provide high levels of vitamin A and can help to improve digestion by boosting the secretion of digestive enzymes. In the west, five-spice powder is most widely known for its use in a variety of braised and roasted Chinese dishes including Char Siu. Five-spice powder is also often used in marinades and shines in dishes that feature fatty meats as it enhances the rich flavors. It can also be used in sweet dishes like pumpkin pie where it is an effective substitute for traditional pumpkin pie spice. What's A Good Chinese Five Spice Powder Substitute? What's A Good Apple Pie Spice Substitute?